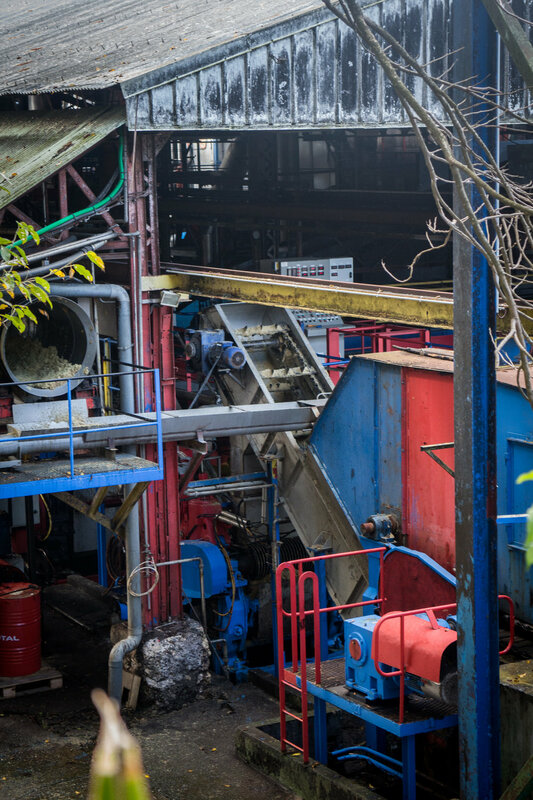 Terroir is an essential & undeniable part of rhum agricole. 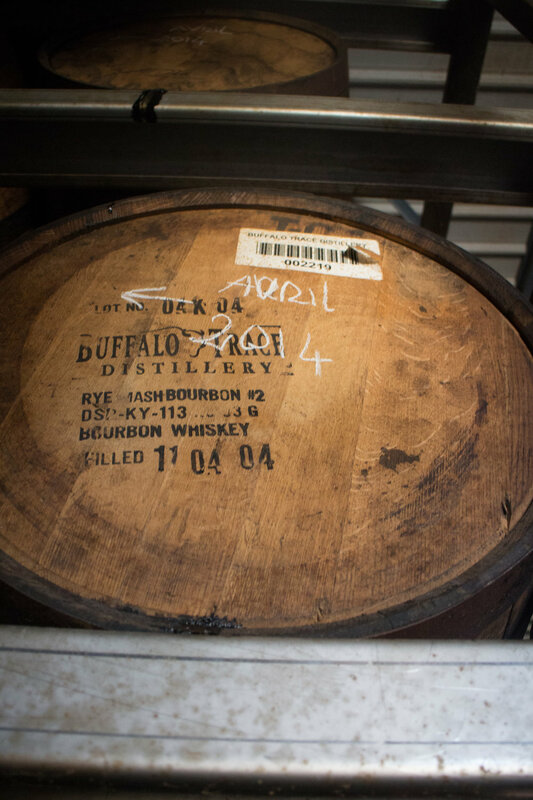 The fact that these rhums keep their cane character though the production and aging processes is a huge part of why we're drawn to their unique, earthy flavors. 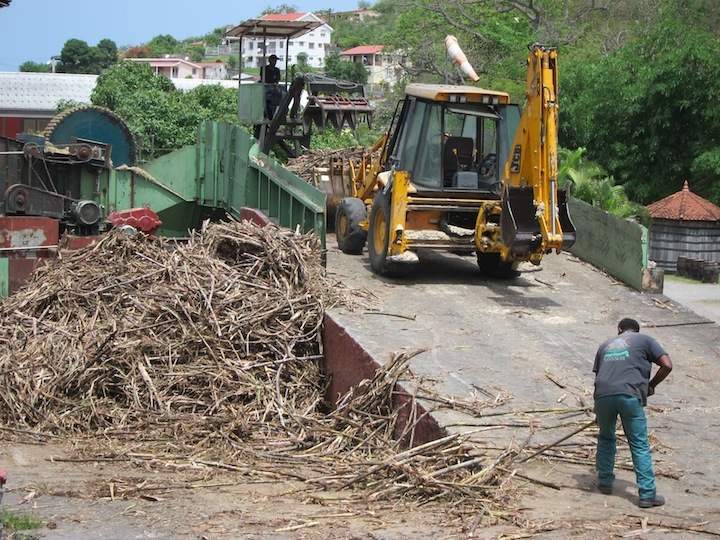 Distilleries pride themselves on cane cultivars, and many of their recipes depend on specific percentages of cane from specified fields or parcels, known for their individual flavors. In recent years, single cane varietal bottlings have become much more common - in the US we know about Rhum Clément's Canne Bleue (although we don't get the re-designed packaging for each yearly batch that the rest of the world does, thanks to the difficulties the TTB creates with this), and Depaz Blue Cane. 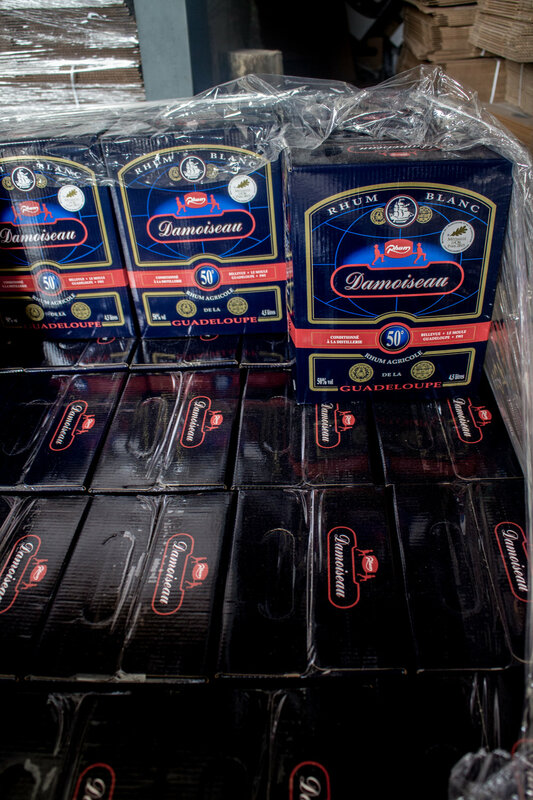 US static packaging for Rhum Clément Canne Bleue, vs. yearly package design in Europe & Island markets. The Canne Bleue is a batch specific yearly release, but US packaging doesn't change because the TTB makes it too difficult. Rhum Bologne has a black cane bottling, La Mauny has their Wouj' bottling, which while only for the island market is 100% red cane, Rhum Bielle has their Canne Grise bottling which is only available in 500ml bottles at 59% abv. The edgy new A 1710 distillery on the Simon property (Simon is where HSE & Rhum Clément are made) may not be an AOC Agricole for several reasons (pot still, year round harvesting to name a few), but they have just released two delectable cane-specific bottlings with the cultivar numbers right on the label. One is blue cane and the other red, and they are home runs in the flavor department (if you like your rhum flavors like a fireworks display, which I'll happily admit I do). But now a handful of distilleries are leveling up with a new, extremely specific way to express terroir - with parcel specific rhums, called parcellaire. 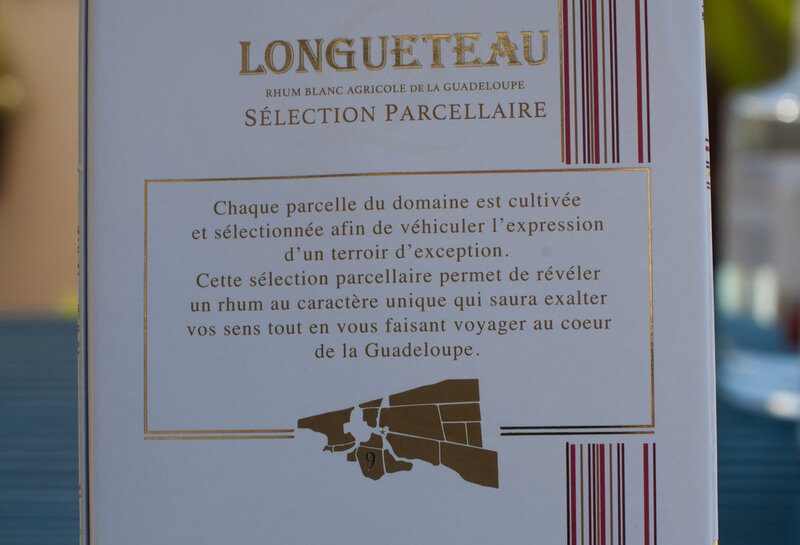 Rhum Longueteau has three parcel specific bottlings. They are so specific about the provenance of these rhums that they print a small map of their land plots on the packaging so you can see exactly where each field is. 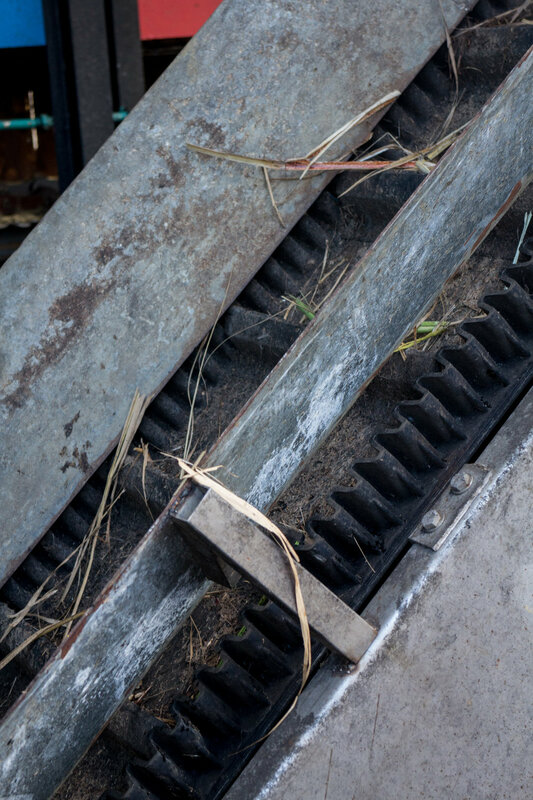 The fields each grow only one cane varietal, and aren't very large (so the bottlings are limited, naturally). The plots are chosen for their varietal, their proximity to the sea (sea air & a higher salt content in the soil directly affects cane flavor) and sunlight hours (sunlight is the #1 factor in the amount of time needed for cane to reach the minimum brix for harvesting). Sélections Parcellaires n°1 & n°9 are made with red cane (R-570). The plot source for n°1 is in full sun and is quite dry, while the plot for n°9 is surrounded by streams and is very humid. Sélection Parcellaire n°4 is made with blue cane (B69-566) and is also grown in a parcel surrounded by water. The resulting bottlings are fantastic, hyper-flavorful, and astonishingly different from each other, truly illustrating the huge effect even minor geographical differences can make. I challenge anyone who insists terroir isn't present in distilled spirits to taste these. Map on the packaging of Rhum Longueteau Parcellaire no. 9, showing the location of the specific parcel where the cane was grown. HSE's upcoming release: Parcellaire #1, "Canne D'Or." Although the cane is red, the flavor of this new release is absolutely solid gold. 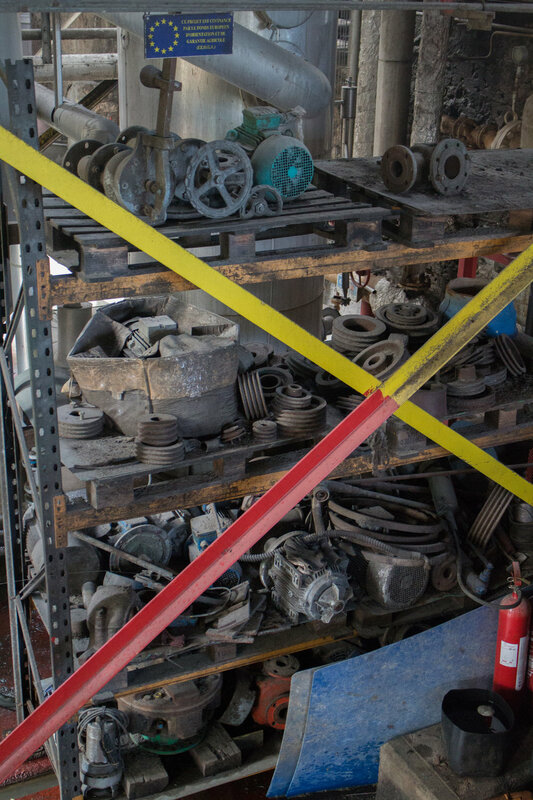 Habitation Saint-Etienne (HSE) has recently picked up the mantle of parcellaire. Their upcoming release Parcellaire # 1, "Canne d'Or" is also made from the R-570 cane, a cultivar created on Réunion Island. 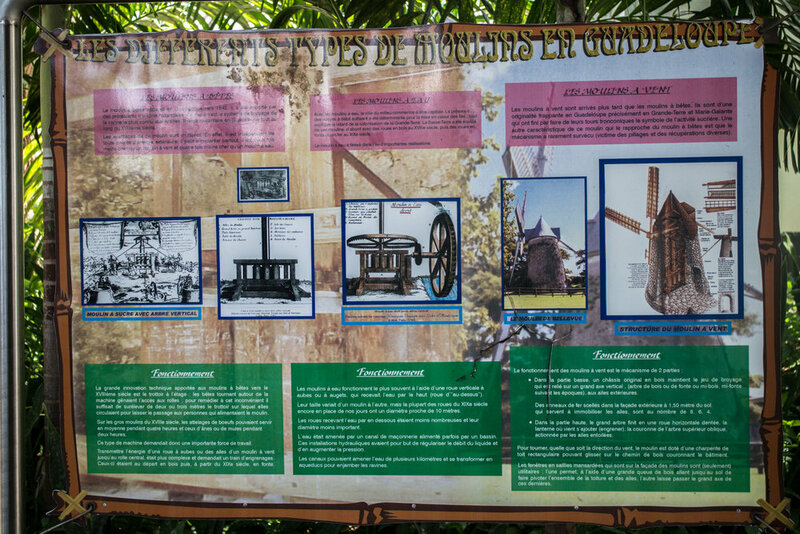 Although as far as I know Rhum Longueteau from Guadeloupe is the first to codify parcel-specific bottlings & to use the parcellaire term, it is worth noting that Trois Rivierès (Martinique) may have been the first to embrace the concept. Cuvée de l’Océan is a parcellaire - cane harvested from L’Anse Trabaud, a parcel in the extreme southeast corner of the island practically on top of a magnificent beach. The bottling is put together to maximize the brine qualities the cane grown there exhibits - and bottled to advertise this fact. 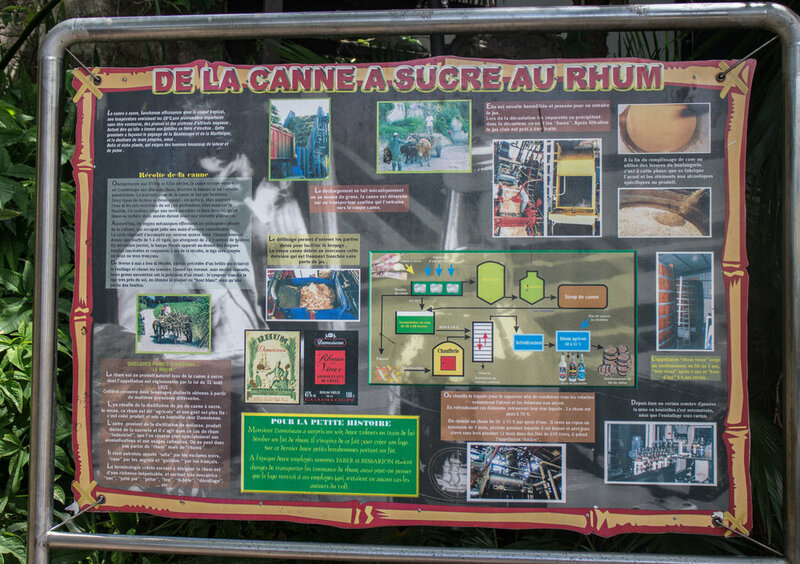 What I can't speak to specifically is whether the cane in Cuvée de l’Océan is all one cane varietal or not, although I assume they would specify if it were. The AOC specifies which plots of land on Martinique may grow cane, but doesn't define the term parcellaire in terms of product bottlings, as this usage is fairly new. Of course, since Longueteau is on Guadeloupe, the Martinique AOC rules don't apply, making it difficult to compare apples to apples in terms of regulation. In terms of flavor comparison, however, I encourage you to seek out these apples and compare them for yourself. The beauty of hyper-specific terroir is just another reason to love earthy, salty and vegetal rhum agricole. 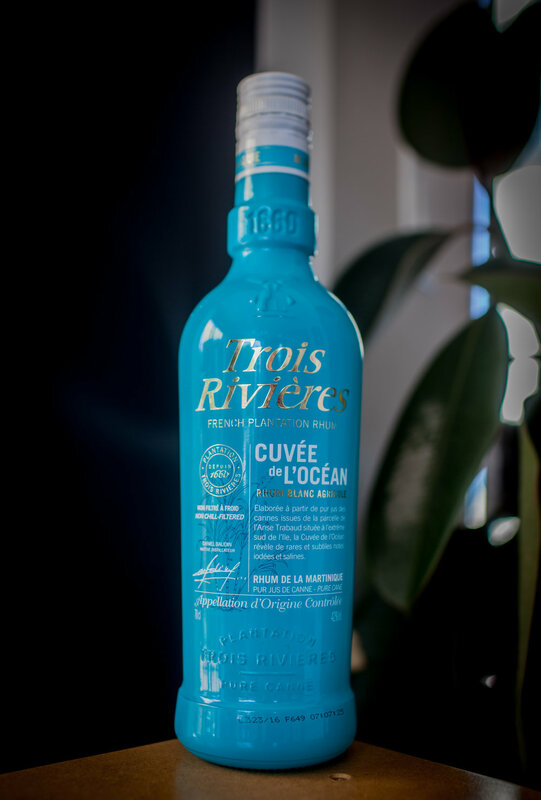 Trois Rivières did it first: Cuvée de l’Océan is a parcel specific rhum. Go drink up and tell 'em Suzanne sent ya! 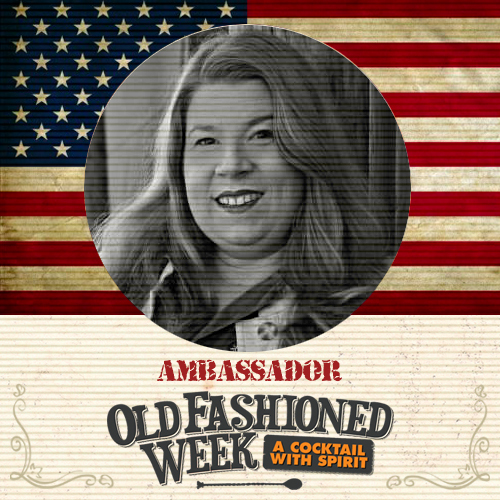 Old Fashioned Week is coming to the United States, and Suzanne Long is your ambassador! It started in France in 2015. Last year expanded to 14 countries. This year it's coming to the USA, Coast to Coast. It runs November 2-11, 2017. The program is pretty simple - sponsors are Altos Tequila, Rhum JM, Monkey Shoulder and Wild Turkey with Angostura as the official bitters. Participating bars will be featured on old-fashioned-week.com/en/, where OFW publishes participant recipes, adds each establishment to the worldwide map, advertises all of OFW scheduled events at each venue, and talks up participants and their bartenders on OFW social media. In addition, as the USA ambassador, Suzanne Long will spread the word as well. The goal is to be stirring spirits and bitters coast to coast, and to let the whole world know about each awesome venue that participates! Of course, participating venues are free to run a menu of as many Old Fashioned-style cocktails as they wish, as long as at least two feature sponsored spirits and, naturally, Angostura bitters. The sky is the limit for interpretation, of course - from the original original cocktail to fantastic modern versions. It’s easy to register: just visit https://www.old-fashioned-week.com/en/ and click on add +a venue. The Old House at Peace field, home of Abigail and John Adams, Second President of the United States of America, in Quincy, Massachusetts. Yesterday I had the pleasure of visiting the Adams National Historic Park (https://www.nps.gov/adam/index.htm), of the birthplaces and homes of John Adams, the Second US president, and his son and family, which of course includes John Quincy Adams, the 6th US president. One of the properties I was able to tour is the Old House at Peace field, located in Quincy, MA near Braintree, which John and Abigail Adams purchased in 1787, and made their residence after returning from England in 1788, where John Adams was serving as the first United States ambassador to England after the Revolutionary War. ... but that got me thinking. I heard the guide say that John and Abigail Adams had purchased the property at Peace field after a British Loyalist sugar cane plantation owner either fled or had his lands confiscated following the Revolutionary War, and that the plantation owner had been from Jamaica. 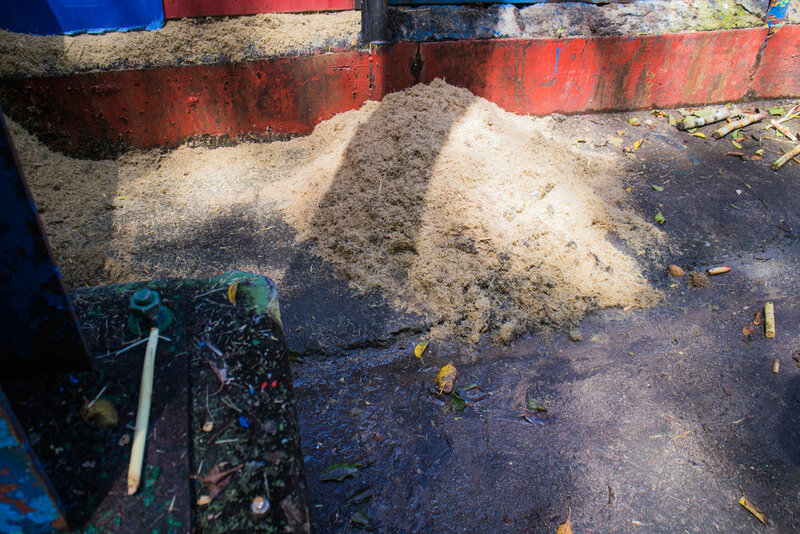 Sugar cane in the 18th century pretty frequently means rum production too, so I did a little digging. What I discovered was that the former owner of the estate that became Peace field (John Adams named the estate) was Major Leonard Vassall, born in Jamaica but living in Massachusetts. He purchased the parcels of land in 1730 to build a home, and passed away in 1737. The home stayed in the Vassall family until Adams acquired it. From Major Leonard Vassall's will, published on the World Connect Roots Web Ancestry project, I was able to learn that he had multiple sugar cane plantation holdings in Jamaica. 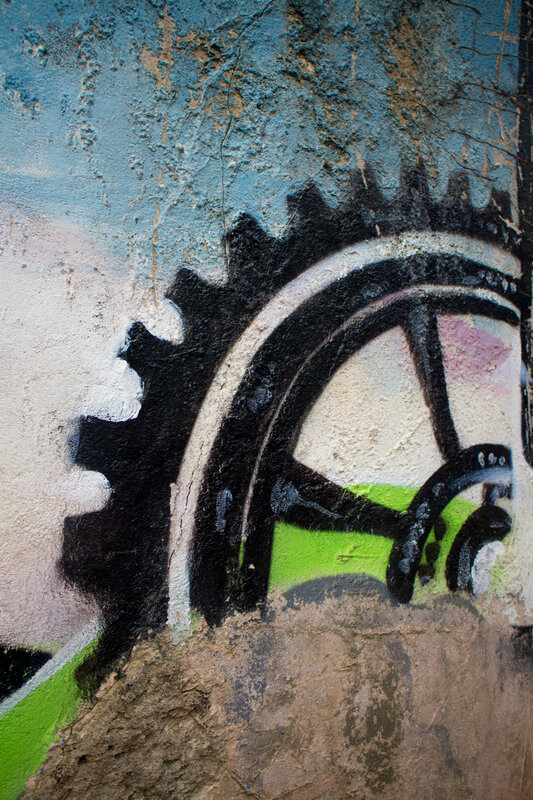 One was a "plantation and sugar cane works" in Luana, Parish of St. Elizabeth's, and another at New Savannah, also in St. Elizabeth's, both near Appleton's location. There are records of rum being produced at New Savannah by 1777. The Vassalls also had a sugar cane plantation in the 1700s at "Green Island River near Orange Bay in Parish of Hannover at west end of Jamaica," according to Leonard Vassall's will, dated June 10, 1737. It's interesting to note that lots of sugar cane is still grown in the Parish of St. Elizabeth today, and that Appleton Estate (founded in 1749) is about 35 km (or 20 miles) from where the sugar cane works in Luana was likely located. I haven't visited this location personally, so I have no idea if there are any traces of it left. 20 miles was a little bit of a journey by 18th Century standards, but it would still be possible to travel back and forth inside of one day on horseback if one needed to, so we can reasonably assume these two plantations at least knew about each other. The book Jamaica Surveyed by B. W. Higman, while somewhat difficult to track down, lays out in exquisite detail maps and plans of 18th century plantations in Jamaica. 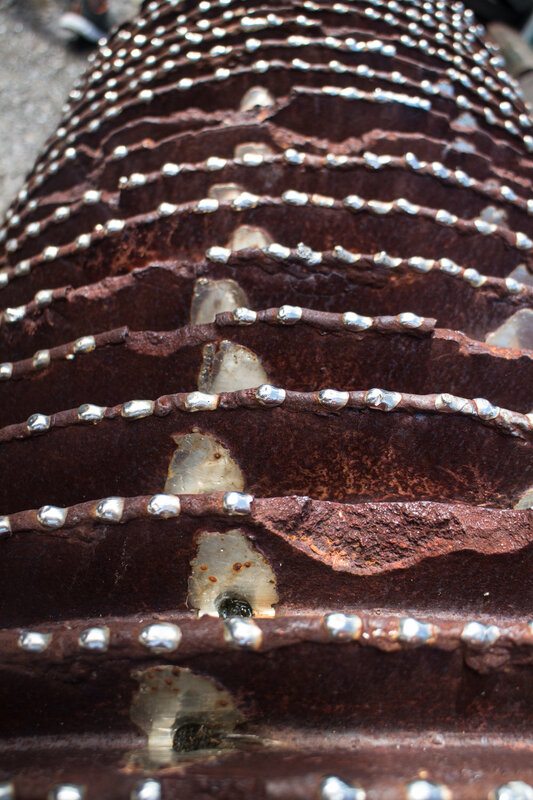 It is available for a terrifying sum to purchase on Amazon ($850.00), for slightly less from The University of the West Indies Press ($75.00) or you might be able to get your local library to inter-library loan it to you. Rhum Neisson L’Esprit 70% - This rhum was first produced on the 70th anniversary of the Neisson distillery in 2002, and is now bottled as a special edition once per year. 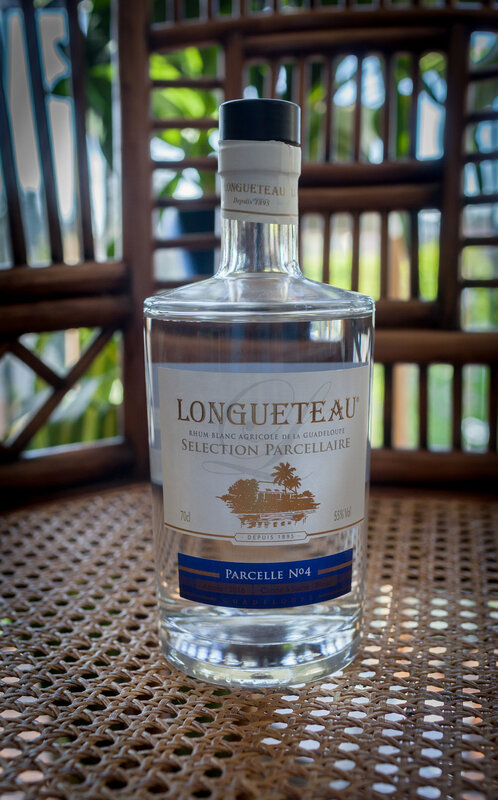 It is produced from blue and crystal cane all grown in the distillery’s own cane fields in La Thieubert (other marks from this brand use cane blends from up to 16 different plantations on the island). 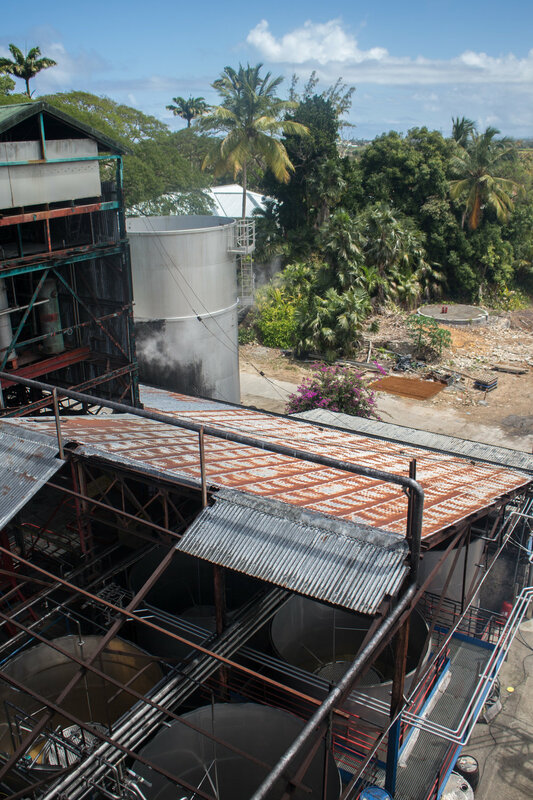 The rhum is pulled straight from the Savalle all copper still and placed to rest in stainless steel vats for 6 months before bottling. It is never diluted, but bottled at full distilled strength. The nose has an extremely vegetal quality, almost like brine and fresh tomato leaves. Its savory nature follows through to an amazingly drinkable rhum for the remarkable ABV. It makes a huge, fantastic, unapologetic daiquiri. 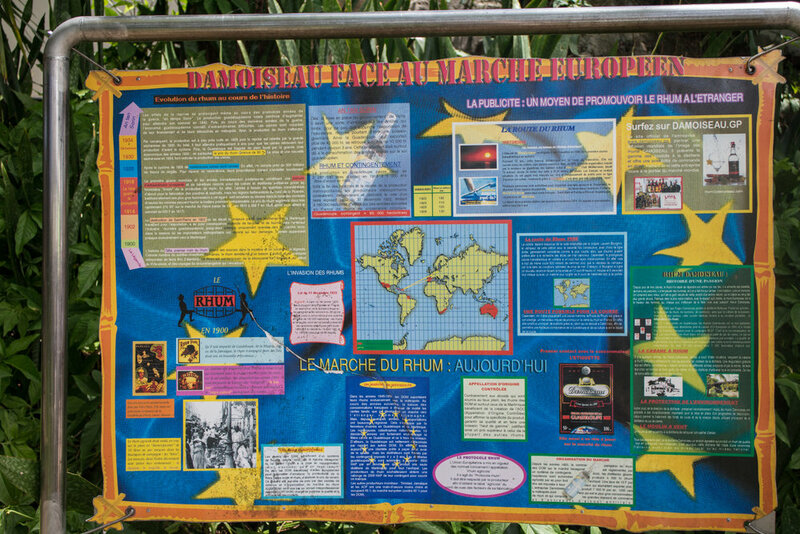 The Damoiseau distillery has been making rum in Guadeloupe since 1942 (much newer than most distilleries on Martinique). 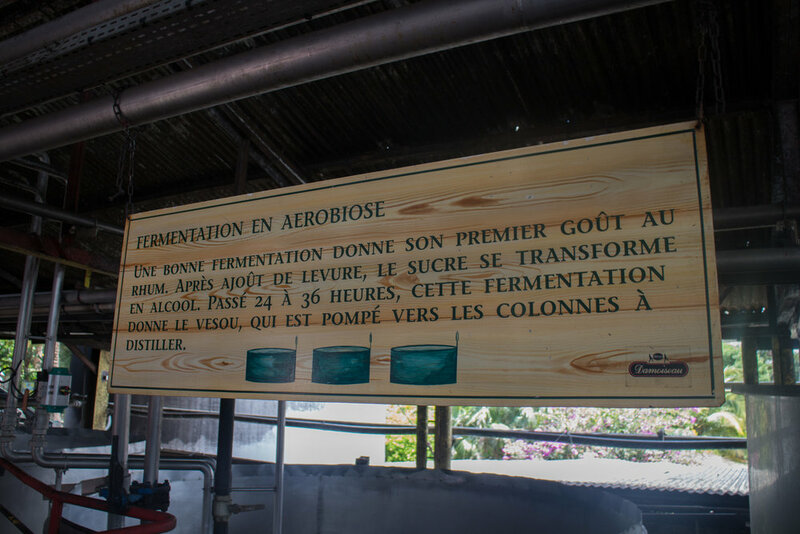 The rum is fermented for a short 30 hours in stainless steel vats that maintain a temp of around 35°C (95°F, or pretty close to ambient temps in Guadeloupe, which is the sweet spot for yeast to multiply). 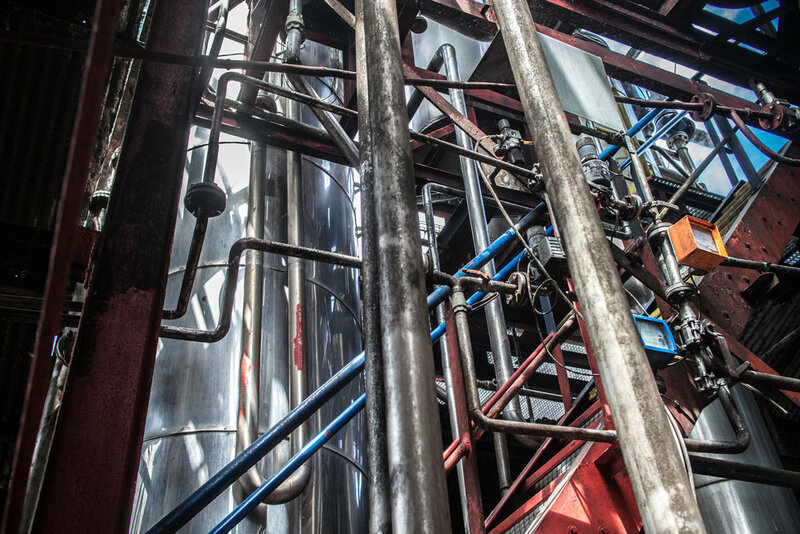 The temp is controlled by either an internal cooling system or by spraying cold water on the outside of the vats. 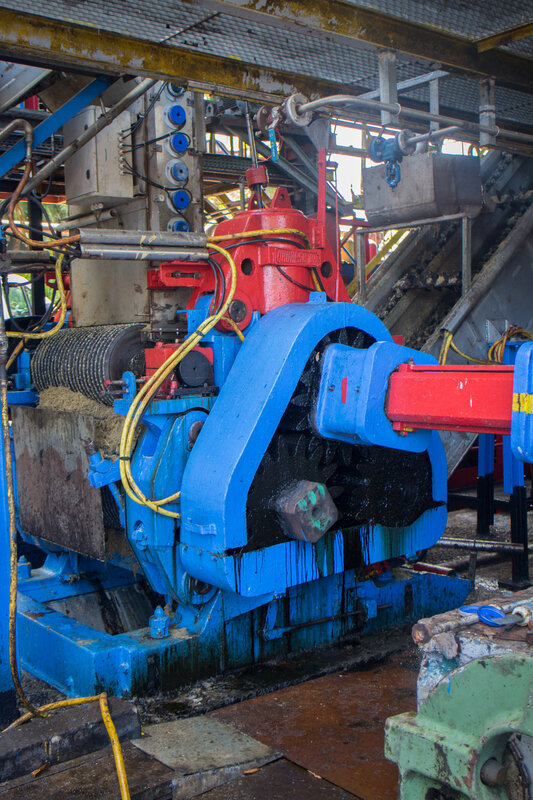 Excess heat needs to be avoided or yeasts behave in an undesirable manner (temps over 120°F can kill them). The shorter fermentation time results in a wine that is slightly lower in alcohol (from 4-6% ABV). 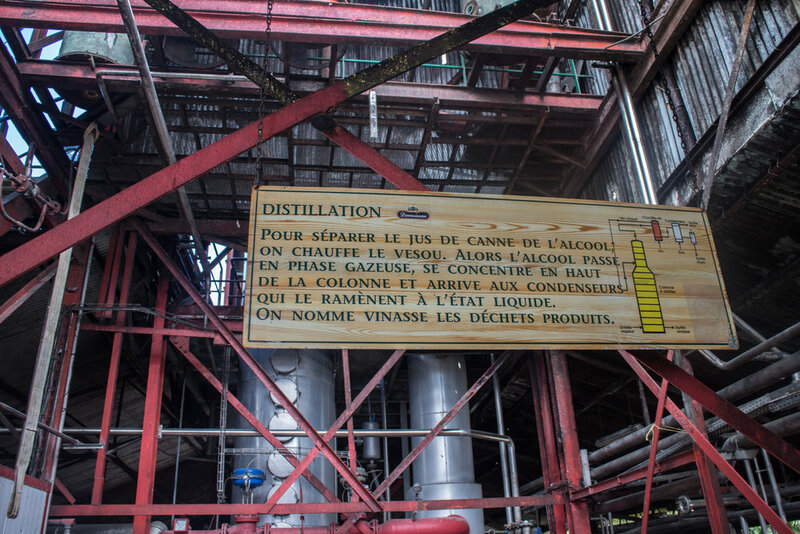 The wine is then distilled on a column still which yields a 89% ABV distillate (significantly higher than those we’ve been looking at from Martinique, and even higher than the Batiste). 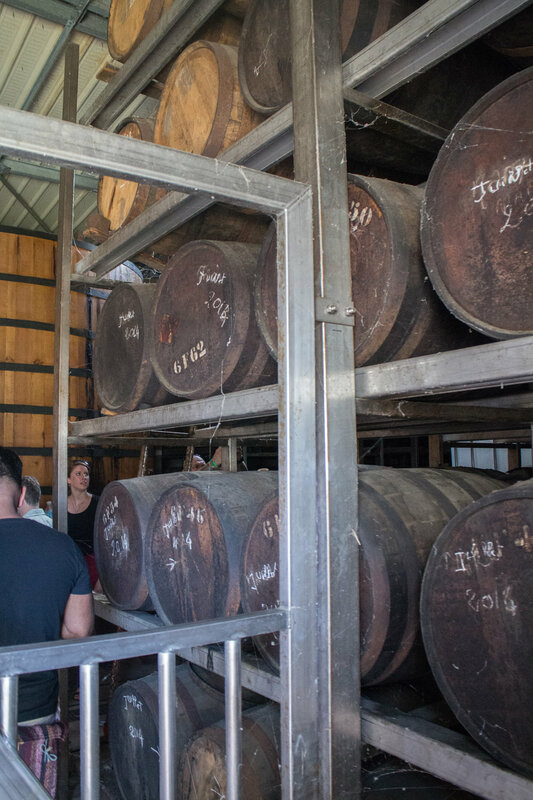 The rhum is then aged in oak for 6 months before being proofed down with spring water purified by reverse osmosis and bottled. 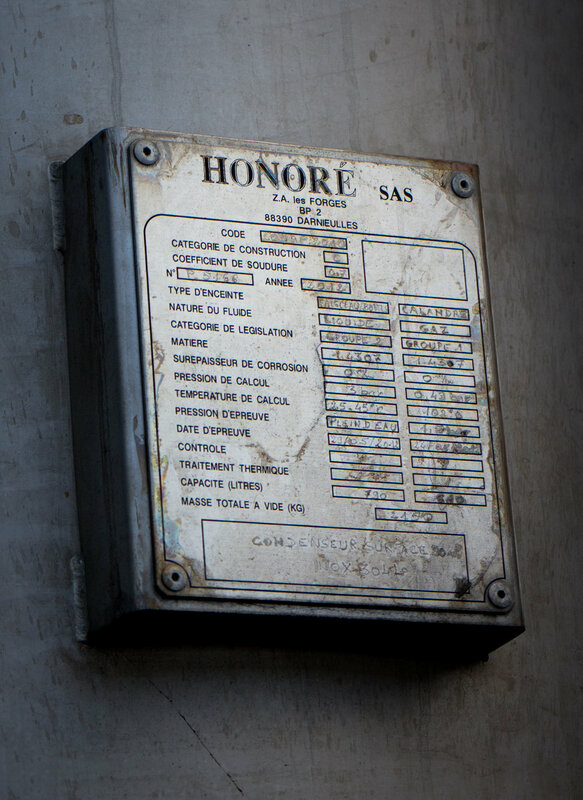 The distillery has both American bourbon (Buffalo Trace) barrels and larger Cognac style French oak holding tanks on their premises, but since the idea with Damoiseau Blanc Virgin Cane is simply to “rest” the rhum (as opposed to maximize wood contact and age it), it’s likely that this mark is only put in the French oak tanks. See Suzanne Long's gallery of photos from Rhumerie Damoiseau, March 2016 below. This rhum is made from cane grown on Marie-Galante, one of a group of 5 small islands that make up the French Department of Guadeloupe. It is the third largest of those 5 islands (but is pretty small). 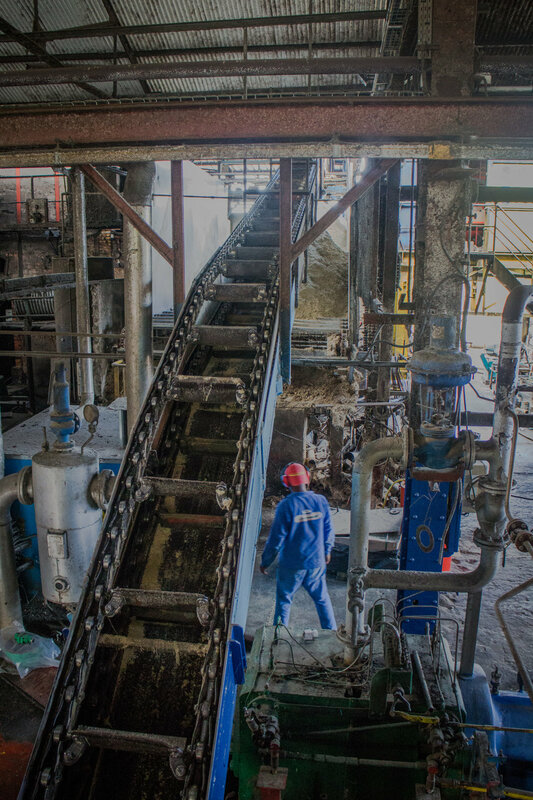 Batiste prides itself on being 100% clean for the environment. 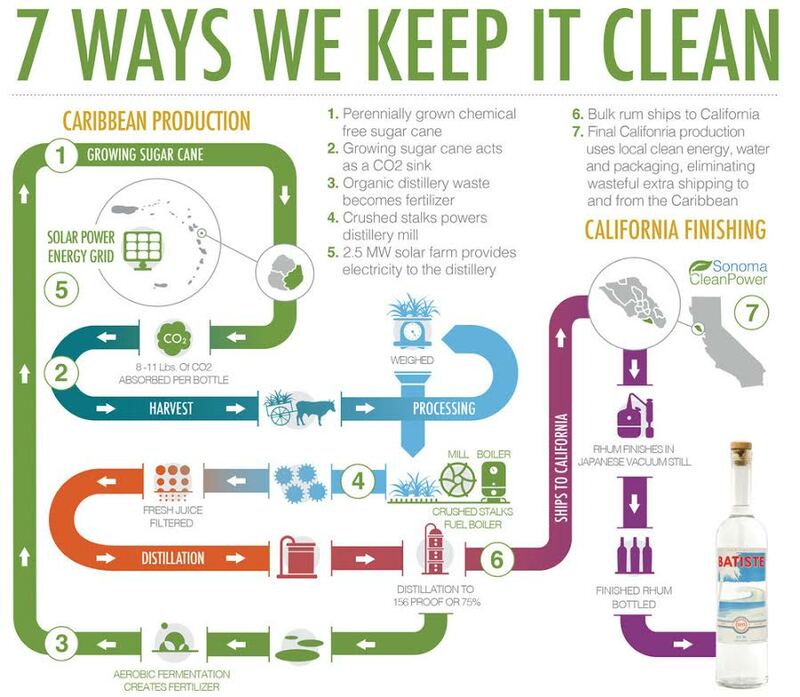 The rum is produced at the Bellevue Distillery, which has a 100% non-polluting production. It is distilled up to 75% alcohol (a tiny bit higher than most of the Martinician agricoles which are usually distilled to about 70%). The rum is then shipped here to the Bay Area where it is re-distilled on a Japanese vacuum still (the kind used to make Shochu). 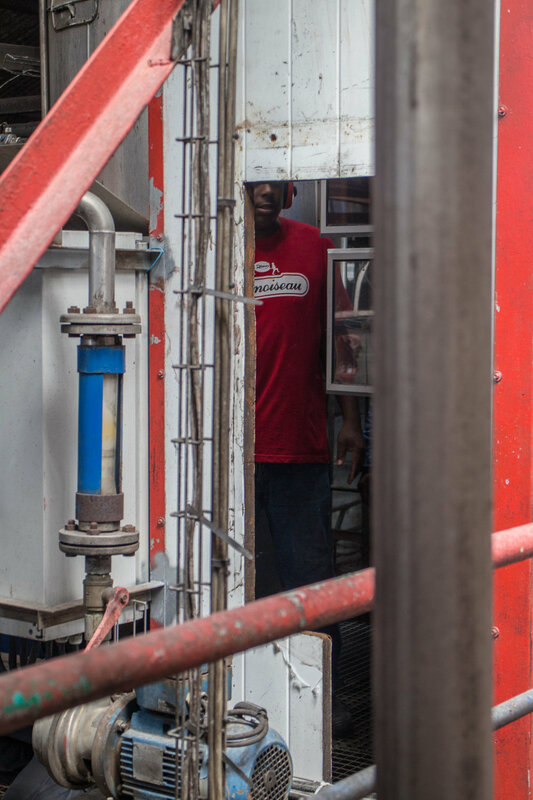 Pressurized stills work by creating a vacuum in the machine, lowering the atmospheric pressure and thus lowering the temperature at which liquids boil (just the same as if you’re in Denver or Reno and water boils but it isn’t actually hot). 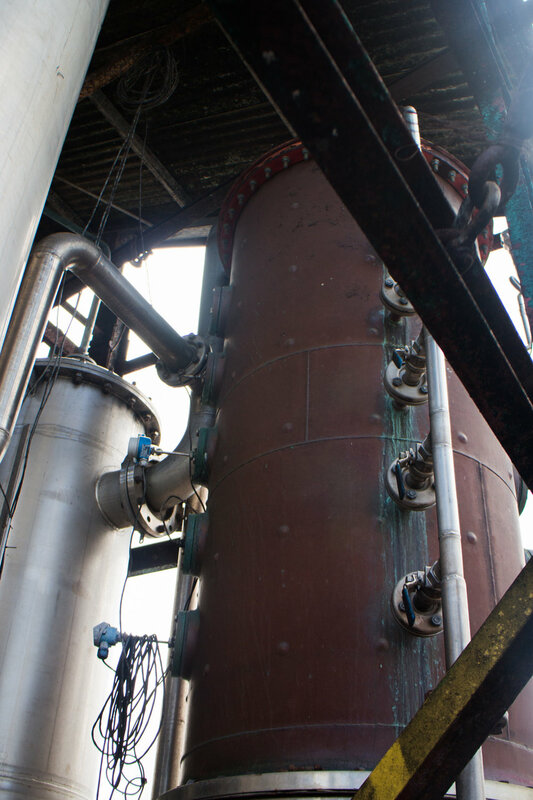 The resulting distillate is softer, cleaner and milder because it was produced at a lower temp. This tones down the typical agricole vegetality dramatically, resulting in a very light finished spirit. The rhum is then bottled without being aged. 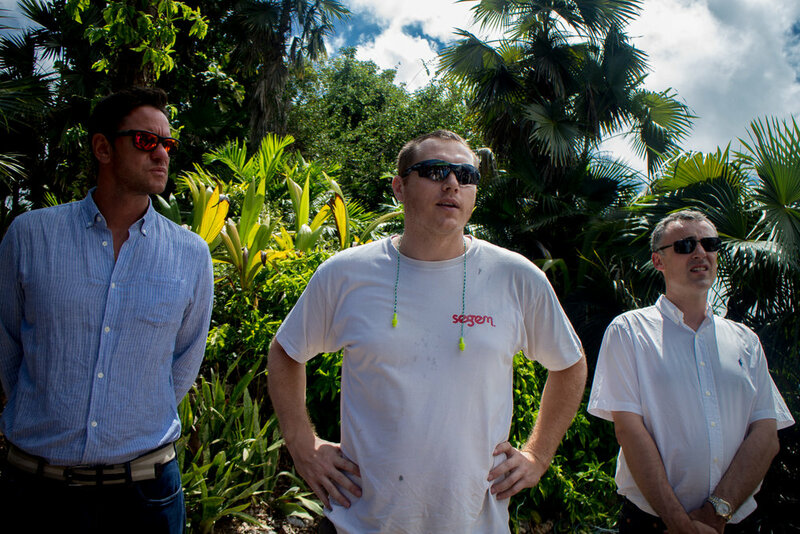 A peek into the mind of the rum master - find rum tasting notes and rum adventures here!